Dec 21, 2018 at 12:06p.m. - Dec 29, 2018 at 12:06p.m. 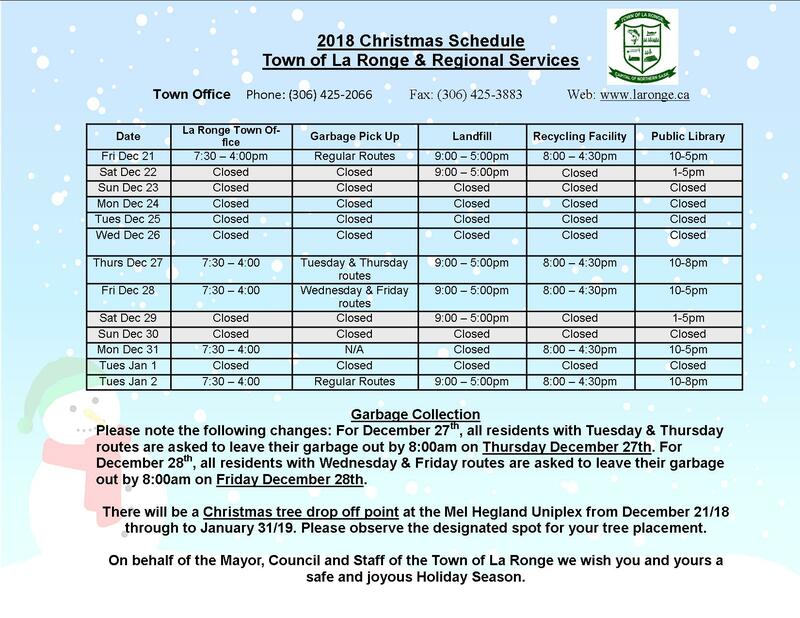 The Town of La Ronge office and all departments will be closed Monday December 24th to Wednesday December 26th. Regular office hours will resume on Thursday December 27th.